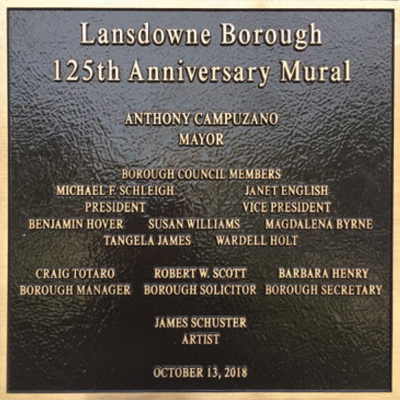 Inspired by history and old photographs, Mayor Tony Campuzano and residents Matt Schultz and Richard Prigg discussed the possibility of marking the 125th Anniversary of the founding of the Borough with a mural. 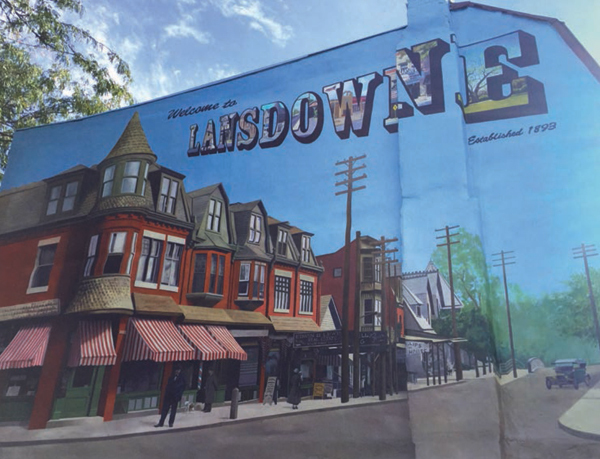 With Welcome to Lansdowne and a depiction of the original corner of Lansdowne and Baltimore Avenues, the mural was designed and painted by artist James Schuster. The mural was dedicated on Saturday, October 13, 2018.